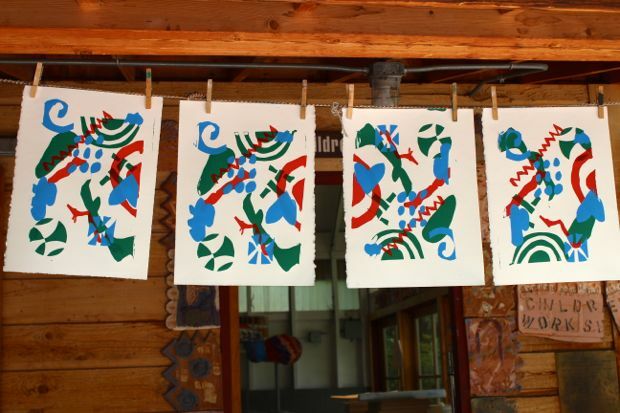 A few favorite photos of the week instructing in the Children’s Program at Anderson Ranch Art Center in Snowmass, Colorado, over the week of Forth of July! 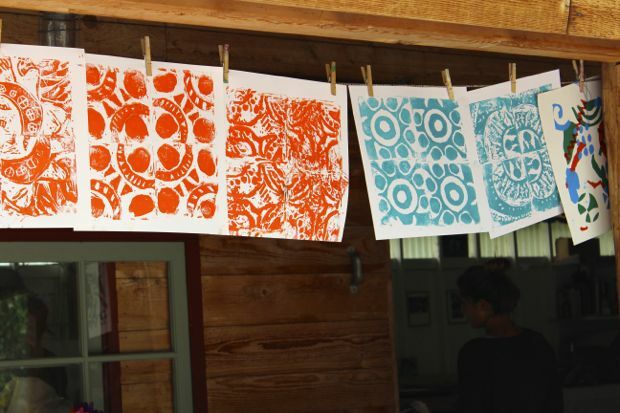 In just four art filled days, we explored Monoprint Monday to Texture Exploration Tuesday to Wild for Linoleum Blocks Wednesday to Celebrating the 4th of July (off to be with family + friends) all the way to Freedom for Printing Friday! The class was sold out, so we had a group of 15 amazing little ones, ranging from 6-8 years of age, from all over the nation! 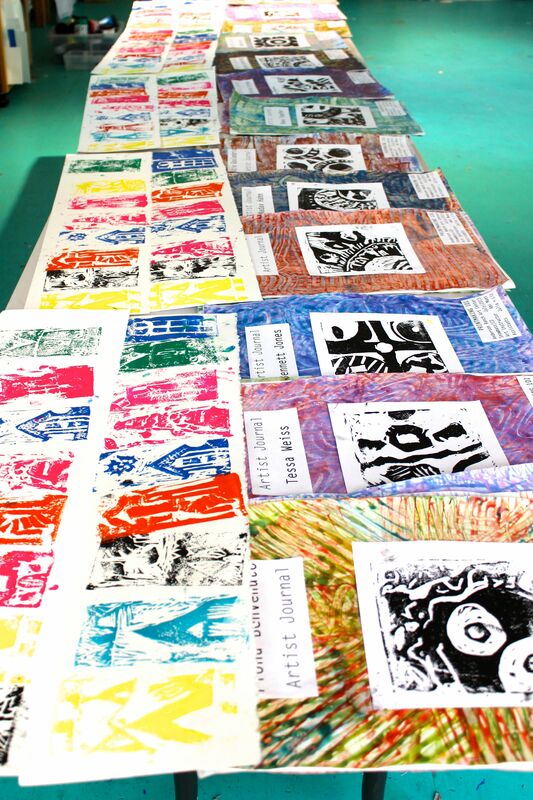 Each artist explored everything from paste paper, monoprinting, creating with texture tools, transferring, linoleum carving, collagraphs, silk screening, plus various printing processes! The creativity, independence, confidence, and relationships formed this week, in these 15 aspiring artists, was incredible to watch blossom. So thankful I got to be part of it and to see it all in action firsthand, wouldn’t have wanted to miss it for the world. Think you’ll be amazed at a few of the images captured when hands were not busy creating or full of printing ink! At 2:30 on Friday we celebrated with the children and their families with a little indoor/outdoor art exhibit + popcycles! Excited to be on the schedule for next summer! 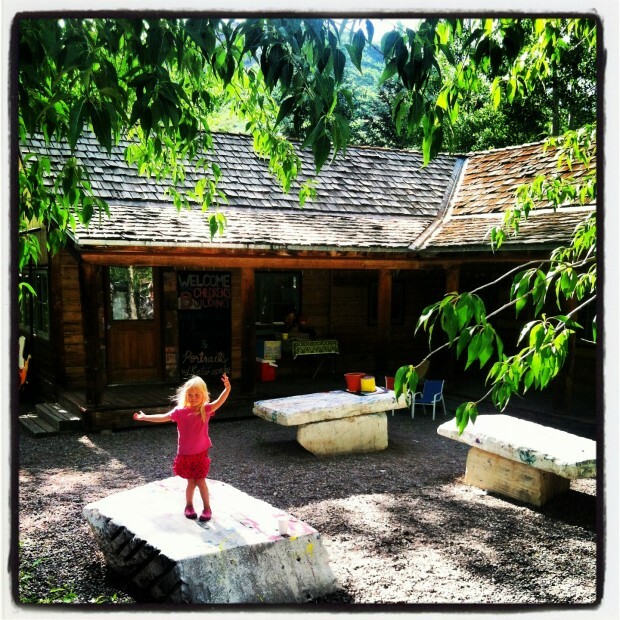 If you get the opportunity to visit Anderson Ranch Art Center you’ll be beyond amazed, exploring all the specialty studios- woodworking, ceramics, painting, just to name a few! I encourage you to head up to Anderson Ranch Art Center on a Friday afternoon to explore the studios, the artwork produced throughout the week in all the specialty studios and to have lunch in the cafe, which is by far, the BEST homemade food around- definitely one of the teaching perks! 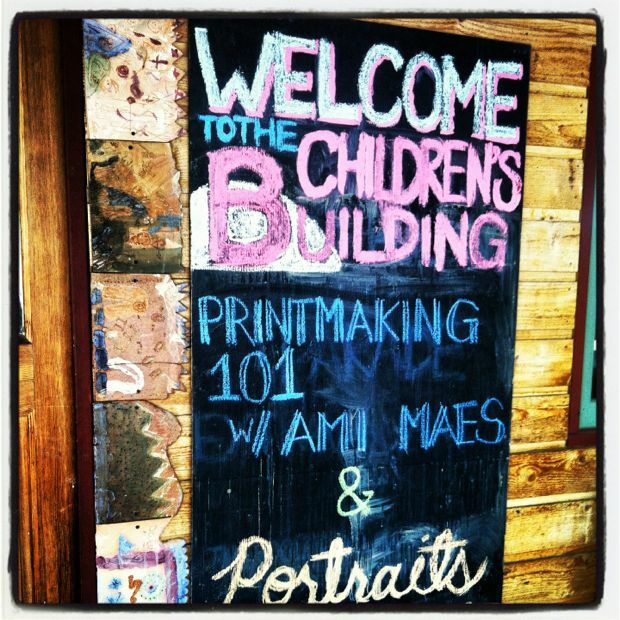 Enjoy the collection of photos from Printmaking 101!